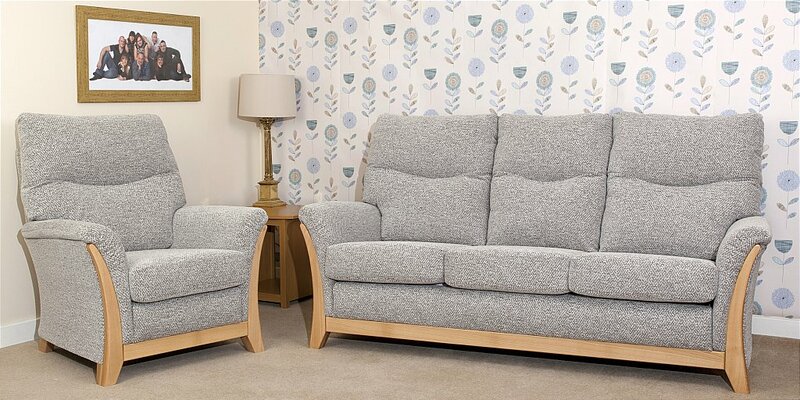 Stylish sofa range with high back fibre filled cushion. Head roll and lumbar for extra back support. Arms and Seats - High resilience foam for durability and comfort. Wood finishes - All bases are made from beech wood. Available in five finishes: Blonde, Mahogany, Light Oak, Walnut and Maple. I would like more information about Grace Suite by Yeoman.